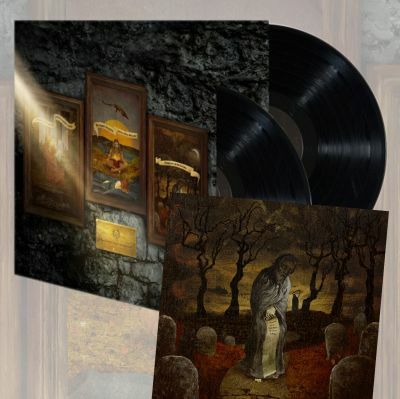 OPETH - PALE COMMUNION VINYL (2LP) | Online Shop | Wizard LTD. Album: "PALE COMMUNION VINYL (2LP)"
Pale Communion is the eleventh studio album by Swedish heavy metal band Opeth. The album was released on 25 August 2014 through Roadrunner Records. The album was produced by Mikael Еkerfeldt and mixed by Steven Wilson. The track listing was revealed on 7 April 2014. Musical style Mikael Еkerfeldt said of the album, "I wanted to do something more melodic with this album, so there&apos;s stronger vocal melodies and more melodies overall for this album." Greg Kennelty of Metal Injection said the album does not contain "growls or death metal vocals". He also described the album as "the missing link between Damnation and Ghost Reveries or if Heritage was written directly after Ghost Reveries without Watershed having ever existed." The cover art was designed by Travis Smith, who has designed several previous Opeth album covers. All songs written and composed by Mikael Еkerfeldt.